I don’t exactly miss it, but there are aspects of it that I enjoyed. It was a slow-paced, repetitive activity that let me take a break from intense coding and system administration, while still feeling as though I was doing important work. 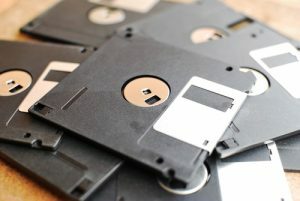 These days, I have daily NAS and cloud backups, but I still have a weekly ritual of backing up the dozen or two most important servers onto linux bootable clone disks. In addition, I don’t allow some of the mission-critical servers to auto-update, so I get to manually walk them through the update process a couple of times a week. Oh, and the other activity that fills this same niche is 3D printing. These aren’t fully automated tasks: those I can ignore except to review the emailed logs. They require just a little bit of interaction, like feeding floppies in the days of yore. 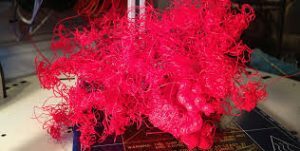 The 3D printer needs some babysitting lest you end up with 3D printing spaghetti. The backups require that I physically move clone drives around. The updating requires looking at what packages are changing, and then doing a restart (and re-mounting encrypted partitions in some cases) if there are kernel changes. It’s not that I can’t do anything else while I’m updating, backing up, or 3D printing, but I somehow feel a touch more content knowing that entropy is being reversed in my corner of the universe with only a minimal amount of direct effort on my part.